Using the traditional Buddhist allegorical image of the Wheel of Life and the teaching of the twelve links of dependent origination, the Dalai Lama deftly illustrates how our existence, though fleeting and often full of woes, brims with the potential for peace and happiness. We can realize that potential by cultivating a wise appreciation of the interdependency of actions and experience, and by living a kind and compassionate life. A life thus lived, the Dalai Lama teaches, becomes thoroughly meaningful for both oneself and for others. "Studded with jewels...The Meaning of Life brings together the theory of Buddhist teachings and the practice of ordinary life. The Dalai Lama's exposition-thorough, gentle and precise-reflects the depth and breadth of his training, communicating the living quality of the tradition." "Conveys his personal warmth and compassion." 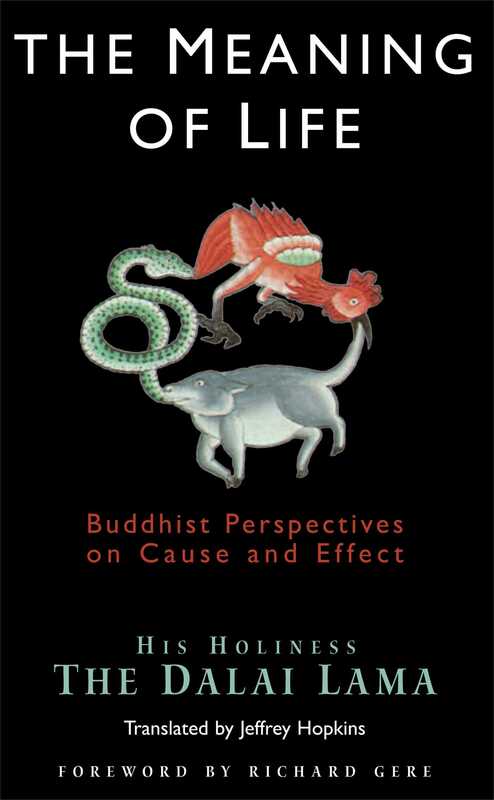 "Here, the Dalai Lama has very skillfully examined the existential questions of meaning, purpose, and responsibility, showing how every aspect of our suffering can be ultimately uprooted through a profound understanding of our true nature."